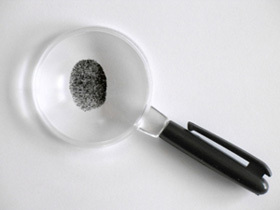 Background Checks, pre-employment screening services and detailed background searches. There is no longer any doubt about the need for pre-employment screening services in America and applicants from all walks of life now know and expect that a background check will be performed on them when the seek new employment. The only real issue left is the selection of a background check firm to assist you in the process. The pre-Employment Screening division of Cole Investigative Agency was established because of the large number of clients who expressed concern over the lack of quality, comprehensive employee background check companies available to assist employers. Their concern was that most of these companies are run by computer “experts” who are looking to sell information gathered from computer databases rather than investigating an applicant’s background at the source. These same pre-employment screening firms are big on disclaimers and short on results. We are NOT computer programmers looking to make easy money off of yet another employee background check website. We are licensed private detectives. We know where to go to find information that is accurate, documented and verifiable. This helps to keep your existing employees safe and helps to eliminate erroneous reporting on your applicant’s information. We are NOT is an instant online employee background check company. We certainly understand that having access to all information instantly is a great concept and would make life very easy for our clients, but the reality is that it is not possible to locate your applicant’s records through any computer system with the simple click of a mouse. There are no National databases of criminal records or secret websites that contain people’s “real” job history. One day we may have those options, but not today. Instead, what is possible is to work with a pre employment screening agency that knows how to conduct real background investigations quickly and affordably. Our clients have the same need for fast turnaround and high levels of customer service that you do. Please review the types of information we can research for your candidate’s state by following the appropriate link to the left. The facts are clear. An alarming number of resumes and employment applications contain false and misleading information. Background checks, pre-employment screening and employee screening are vital to protecting your company and your employees. Altered dates, false claims, inflated salaries, inflated titles and responsibilities, false or incomplete prior employment history, false separation reasons and undisclosed criminal histories are some of the most frequently encountered problems on resumes. More disturbing is the number of unqualified applicants who have secured false credentials to get a job. As an employer or human resources professional, you already know how much damage a bad hire can cause and how difficult it is to get rid of them. Accordingly, it only makes sense to hire the right people and avoid business disruptions, inappropriate behavior, endangering co-workers, liability, litigation, theft & fraud by employing a quality employee-screening agency. The problem you face is, which firm do you entrust to conduct your background checks and employee screening? There are many companies offering these services on the web, but if you take a good look at them, many are simply data brokers and really offer you nothing more than information they purchase. This is particularly true with regard to the INSTANT RESULTS websites that claim to conduct a background check. In reality, all these companies do is purchase old public record data and dump it into a database. When you, the customer, enter an employee’s information into their system, it spits out that old data. No human is conducting anything, let alone really checking out the employee’s background. At CIA. a private investigator is personally conducting your employee screening background and providing you with more than old outdated records. We also review and question the findings at every step and provide you with our expert opinion on what we find. As licensed private investigators, we offer complete pre-employment screening and current employee screening, ranging from a basic overview to a comprehensive background investigation. We offer these services with a level of competence and detail that "information brokers" and database companies could never provide you. We do more than punch a name in a computer and print up a canned report. These companies cannot provide you with a professional analysis. So pick up the telephone and confirm information or answer the question, "does this make sense". All of our background check and pre-employment screening services are customized to meet your needs. Our employee screening process is completely legal, confidential and conducted by an independent agency specializing in pre employment background check and criminal record searches. The process is fast, easy and efficient and to use. Most of our services can be complete the next business day. When you need a background check to learn the truth about someone, CIA. has a background check designed to meet your needs. Each background check is unique and what may be relevant in one case is not in another. As licensed private investigators we know what information is possible to develop and how to provide an accurate, detailed background check no matter where your subject resides. We also know that it is very important to consider who we are investigating when determining what type of background check you need and what records you expect us to find. It is important to understand that the term background check is a generic one. Each background check is different and the level of depth you want to go into is nearly limitless. Comprehensive background check and criminal record search specialists. When you need REAL information, not five year old databases offered by the “internet detective” con-artists, C.I.A. Background Check Services is the intelligent choice. We are not a database company, or data brokers. C.I.A. Background Check Services is a full service private investigative agency specializing in background checks where accuracy matters. What makes C.I.A. Background Check Services stand out from the crowd? If you find that you need more than just a background check, we are a full service private detective agency able to bring the full assets of our agency, with nationwide resources, to bear for you. We encourage you to call us today to discuss your background check needs and to have an investigator explain the background check process and the results to be obtained. The call is completely confidential and toll free. Obviously, criminal activity is a major concern to all of our clients. It is also important that you understand that criminal records within a background check must be done at a local level. If a company is offering this type of background check to you, they have created their own “national” criminal database which is not reliable, accurate or complete and is ridiculous at best. Each State has different ways of recording criminal record information. Some have state-wide criminal record databases but most do not. Each court, at the city or county level, also has its own unique way of recording criminal records and allowing the public access to them. At C.I.A. Background Check Services, we know exactly where and how to look for them in the fastest and most intelligent way to give you quick results without compromising completeness or accuracy. Criminal background checks at the state, county, and multi-state levels. Criminal reports for employment screening, tenant screening, landlords, & personal criminal records screening for individuals & roommates.